The President’s Council also meets the day before each BOD meeting. Dave is a lifelong member of the Kansas District and a current member of Christ, Overland Park. 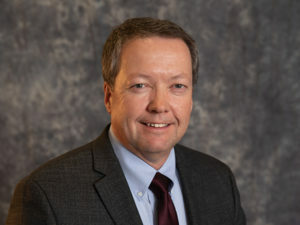 He graduated in 1981 from the University of Kansas with a Bachelor of Science in education and received his Juris Doctorate in 1984 from Washburn Law School. After practicing law for 15 years, he became a District Judge in Shawnee County and since 2011 has served as a judge of the Kansas Court of Appeals. 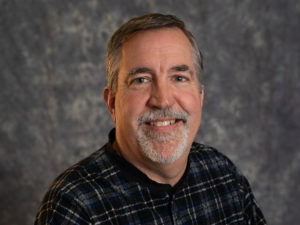 Dave has served on the Board of Education of Topeka Lutheran School and on the Kansas District’s Family Life Committee and Adjudication Committee, the LCMS Board for International Mission, and the LCMS Board of District and Congregational Services, which he chaired. Among his many civic activities, Dave served as the 2015-16 president of Optimist International. He and his wife, Shawn, have two children, Nate and Elise, and a granddaughter, Emory. Curt Engelbrecht is a husband, father of four, and grandfather of nine. He is a member of Trinity Lutheran Church of Wichita and currently serves as an elder. He has previously served as president, treasurer, and elder at other congregations. He is currently a board member of Kansas Lutherans for Life, and serves as the Treasurer. He has previously served as a circuit forum delegate, Kansas District Convention delegate. 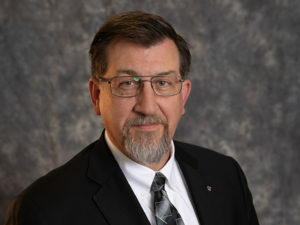 He has a bachelor of science in mechanical engineering and master of science in systems engineering, with over 35 years experience in the aerospace industry, and has served as a mechanical engineering technology program accreditation evaluator for ABET. His civic service includes city capital projects planning board, political party national committee member, and political party Kansas and National Executive Committee membership, where he served as national committee secretary and resolutions committee chairman. Rick graduated from Concordia, River Forest (now Concordia-Chicago) in 1974. 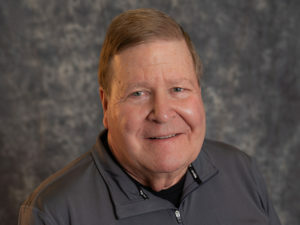 He received a Master of Science in administration from the University of Wisconsin, Oshkosh in 1979 and a Specialist degree in administration from Central Missouri University, Warrensburg in 1995. 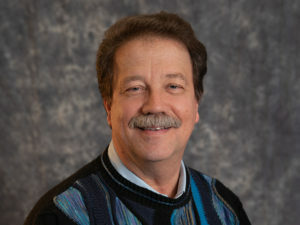 Rick served as a Lutheran educator and principals until 2014, when he retired from the teaching ministry. During his career, he served schools in Wisconsin, Iowa, Indiana, Missouri and Kansas (Hope Lutheran School, Shawnee). Rick has served on various synodical, district and community boards and committees throughout his ministry. Rick and his wife Kathy (Hentsch) have two children, Seth and Gretchen, and two grandchildren. Sue, a lifelong Lutheran, is a graduate of Concordia, Seward, where she received a Bachelor of Science and Master of Science in education. She also received specializations in Spanish from Friends University, Wichita, Kansas; Building Administration from Concordia, Seward; and English as a Second Language from the State of Kansas. 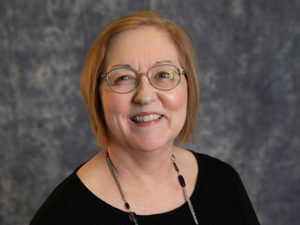 A state-licensed educator in K-9 elementary, K-9 administration, K-12 Spanish, and K-6, 6-12 ESOL, Sue has taught at schools throughout the Midwest, including Holy Cross Lutheran School and Bethany Lutheran School, Wichita, Kansas, and Faith Lutheran School, Derby, Kansas. She has served on various synodical, district, and civic community boards and committees, including the Lutheran Women’s Missionary League (LWML), adult choirs, curriculum, fund-raising, and Singles Ministry. She and her husband, Tom, are sponsors to 12 godchildren and enjoy nieces, nephews, family, friends, and traveling in God’s amazing world. Rev. 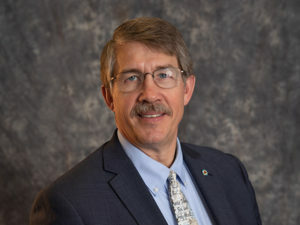 Lange is serving his second term as president of the Kansas District; he is also the secretary of the Synod’s Council of Presidents. Rev. 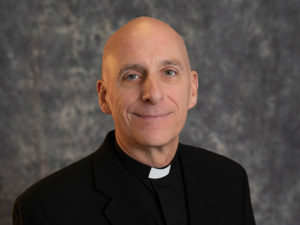 Lange served as senior pastor of St. John’s, Topeka from 1999 until 2015 and served as first vice-president of the Kansas District from 2012 to 2015. Prior to his service in Kansas, he was associate pastor of St. Paul’s in Concordia, Missouri for nine years. He is a 1984 graduate of Concordia College in River Forest, Illinois, and a 1988 graduate of Concordia Theological Seminary in Fort Wayne, Indiana, where he also earned an S.T.M. in New Testament studies. President Lange and his wife Marcia have four daughters. Rev. David Meier was born in Palmer, KS and baptized and confirmed at St. John Lutheran Church, Palmer. Dave graduated from Concordia Theological Seminary in Ft. Wayne in 1978. He presently serves at St. Paul’s, Junction City. His past parishes in Kansas include St. Matthew, Nortonville, Mt. Calvary, Marysville and St. Peter’s, Humboldt. He has served the Kansas District as secretary, 2nd vice-president, Constitution and Bylaws Committee, District Operations Manual Committee, circuit visitor and District/Synod Support Team. Dave graduated from St. John in Winfield, Concordia Senior College, Ft. Wayne and Concordia Theological Seminary, Ft. Wayne in 1978. He has also completed the Intentional Interim Ministry training and is serving as Intentional Interim Minister at St. Paul, Clark’s Creek. Dave is married to Sherry (Lietz) and they have three children: Cara and husband John Brooks and their children Kylie and Joshua, Houston, TX; Carisa of Pompano Beach, FL and Peter at KU Medical School, Salina, KS. David is a member of Grace Evangelical Lutheran Church in McPherson, where he has served as evangelism steward, education steward and planning steward. He has also been the lead usher for the past several years. He has been a member of The Lutheran Church-Missouri Synod since his baptism. David served on the Kansas District Nominating Committee from 2009-2012 and has served on the District Board of Directors since 2012. David and his wife, Mary, have four children–Justin, Erin, Amy and Adam–and ten grandchildren. He works for Girton/LLL Transport in Elwood, Kansas. Rev. Justin Panzer was baptized into the Christian faith at Peace Lutheran Church, Greensburg and confirmed into the Christian faith at Our Redeemer Lutheran Church, Kinsley. He is at 1996 graduate of the University of Kansas with a Bachelor of Science in education. He enrolled at Concordia Seminary, St. Louis in 1998 and spent one year doing a seminary exchange program with the Evangelical Lutheran Church of England (ELCE). Upon graduation from Concordia Seminary in 2003, he accepted the call to serve Faith Lutheran, Abilene. Justin and his wife, Shelli (Schnoebelen), have two children, Eli and Grier. They enjoy the outdoors and sporting events together. Jeremy Pera is a member of St. Paul Lutheran Church in Clay Center, where he is a DCE (Director of Christian Education). He earned his bachelor’s degree from Concordia University, Nebraska and his M.S. from Kansas State. Jeremy has taught in Lutheran schools in Ohio and Minnesota and served the Kansas District as a District Reconciler, member of the District Family Life Committee and Youth Committee, and longtime member of the Board of Directors. He enjoys sports, music (especially singing), travel, being with family, history, and hiking, and he loves mountains and forests. Rev. Rick Rostek was born in Terre Haute, IN, baptized at Zion Lutheran Church, Ferguson, MO, and confirmed at Our Savior Lutheran Church in St. Charles, MO. After earning degrees in engineering and meteorology, Rick worked in the air quality consulting field for 11 years. In 1997, Rick enrolled at Concordia Seminary, St. Louis. Upon graduation in 2001, Rick accepted the call to Immanuel, Norton. 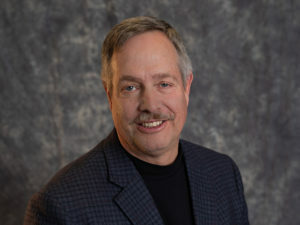 Rick is the third vice-president of the Kansas District and a member of the Board of Stewardship. He also serves as president of the Norton CARES Advisory Board, and is the secretary of the Norton County Ministerial Alliance. Rick and his wife, Lois, have one child. Rick and his family enjoy camping and the outdoors and in recent years have traveled to such places as Redwoods National Park, Yellowstone National Park, Niagara Falls, Carlsbad Caverns and the Upper Peninsula of Michigan. Rich is a grain and livestock farmer and a lifelong member of Immanuel in Bremen, where he has served as a school board member, trustee, elder, Sunday School and Bible study teacher and chair of the congregation. He is also a member of the church choir and is active in the local Lutheran Laymen’s League (LLL) Men’s Club. Rich is a longtime member of the Kansas District Board and has served as a delegate to both the Kansas District convention and the national LCMS convention. 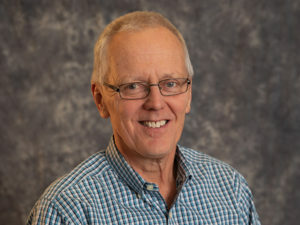 In his community, Rich has served for many years on the local board of supervisors for the Soil Conservation District and is chairman of the Horseshoe Creek Watershed. He and his wife, Ruth, have been blessed with four children—Timothy (deceased), Amy, Kevin and William (deceased)—along with five grandchildren and three great-grandchildren. 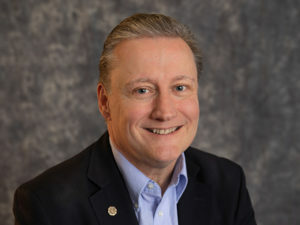 Marvin Schulteis is a member of Redeemer Lutheran Church in Lawrence, Kansas, where he currently serves as vice-president of the congregation. He earned his J.D. from Washburn University School of Law in 1964 and worked for 30 years as an attorney with AT&T Co. In his retirement career, he’s serving as an adjunct faculty member at Baker University (Baker, KS) and Columbia College (Columbia, MO). He has served on the Kansas District Nominating Committee (2009), as a lay delegate to the Kansas District Convention (2015), and as a circuit lay delegate to the Synod Convention (2016). 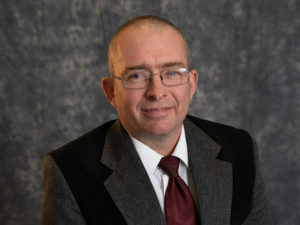 A self-described “political junkie,” he hosts a political radio talk show at Lake Ozark, Missouri, and is a political writer for the local Lake Ozark newspaper. He and his wife, Kathleen, have five children and eleven grandchildren. 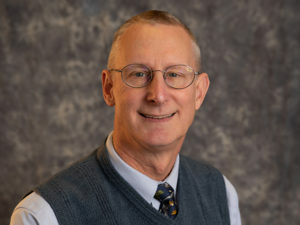 Bruce Schultz is a research scientist at Kansas State University and member of St. John Lutheran Church in Alma, where he has served as a school board member, Parent-Teacher League officer, and handbell choir member. He has a B.S. in agriculture and an M.S. in veterinary science from the University of Nebraska, Lincoln and a Ph.D. in veterinary pharmacology from Cornell University. In addition to his District Board service, Bruce has served as an advisory delegate to the Synod convention, an appointed member of the Concordia University Chicago Board of Regents, and a National Youth Gathering volunteer. He’s been active in youth development programs including 4-H and C.H.I.E.F (Christian Homes in Educational Fellowship) and is a Wabaunsee Country Fire District 8 firefighter and certified first responder. He and his wife Kathy have been married for nearly 30 years and have two children, Sara, a parish musician and deaconess, and Christian, a seminarian. The Rev. Dr. Mark Schulz grew up in Faribault, MN and graduated from Concordia University, St. Paul (MN) with a B.A. in 1982. He graduated from Concordia Seminary, St. Louis with an M.Div. in 1986 and from Lutheran School of Theology at Chicago with a D.Min. in 1997. He has served as a parish pastor for 32 years in Omaha, NE, Itasca and Lake Forest, IL, and Overland Park and Mission, KS. He has served as senior pastor of Trinity Lutheran Church in Mission and Shawnee, KS since 2013. In 2018 he was elected as the fourth vice-president of the LCMS Kansas District (Region 1). He and his wife, Nancy (Hillmer), have two adult daughters: Rebekah (Daniel) and Bethany. He enjoys flower gardening, landscaping, and sports of all kinds. Rev. Scott Snow is a 1979 graduate of Concordia University, St. Paul and a 1983 graduate of Concordia Seminary, St. Louis. He served 22 years in the Northern Illinois District—15 years as a parish pastor and seven years as an executive on the district staff. 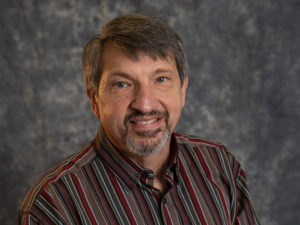 Pastor Snow then served for five years at the LCMS International Center in St. Louis as the Director of Outreach for the LCMS World Mission – National Team beginning in August 2005. Since 2010, he has served as the senior pastor of Holy Cross Lutheran Church in Wichita, Kansas. In 2015, he was elected as the first vice-president of the LCMS Kansas District (Region 3). He and his wife, Debra (Happel), have three children: Rebecca, Joshua and Bethany. Thad lived on the family farm in Ulysses, Kansas until 1979, when he moved to Topeka to attend Washburn University. Over a 25-year period he earned degrees from Washburn University (B.B.A. in accounting and finance; J.D.) and the University of Missouri – Kansas City (M.S.A. in taxation). Thad is licensed as a Kansas CPA and attorney and practices transactional law representing individuals and entities. In January 2016, Thad was confirmed and is a member of St. John’s Evangelical Lutheran Church in Topeka, Kansas, having been baptized in 1982 at a local Topeka Church of Christ. Thad has a son in Topeka and a daughter in Dodge City and is married to Sheryl (Utech) Sullivan. They both enjoy traveling, with a favorite stop in Ephraim, Door County, Wisconsin. Rev. Paul Tessaro received his B.S. from Ferris State College in 1981. He met his wife, Michelle, while working at WMAM/WLST radio stations in Northeast Wisconsin. He then worked the majority of the time for American Microwave and Communications, Inc. He entered the seminary in 1988. After graduation in 1992 he served Eternal Mercy Lutheran Church for the Deaf in Memphis, Tennessee. St. Paul Lutheran in Clay Center called him to be their pastor in 2006. He also leads worship for the Deaf in Topeka twice a month. Pastor Tessaro enjoys serving his community as a first responder and chaplain. The Tessaros are blessed with three children, Melody, David and Katie, who live in various parts of the country. Mark is a member of Redeemer Lutheran, Atwood where he currently serves on the Board of Education. He has served as elder and chairman and has also taught Bible classes and Midweek classes. He plays the organ a couple of times a month and sings in the choir. Mark graduated from Kansas State University with a B.S. in secondary math education. He later received an M.S. in educational administration from Fort Hays State University. He taught math and science in the public schools for 19 years and served 11 years as an administrator. He has been working in private business for the last six years as a technical writer and support specialist. Mark has been married to Brenda for over 30 years. They have four children and three grandchildren.